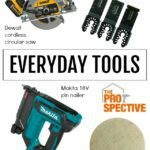 Tools are essential for every homeowner – things break, things need fixing, things need installing, hanging, cutting and on and on. Even in the smallest of spaces, like an apartment or tiny home, I guarantee there comes a time when you need household tools. 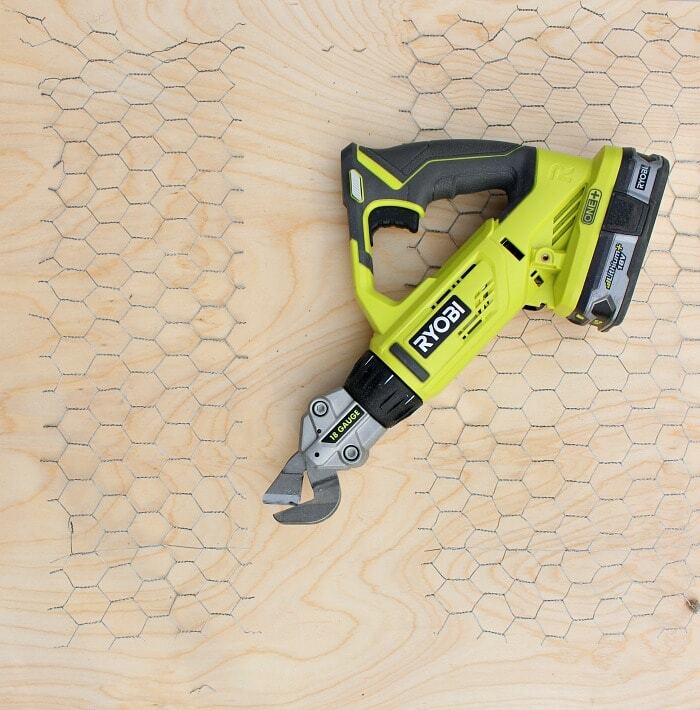 Set yourself up for success with a few toolbox worthy tools like the Ryobi Cordless Offset Shear and Dremel Combo Kit and you’ll be ready to tackle the next item on your list. 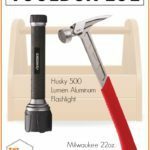 Essential tools for every homeowner because things break. 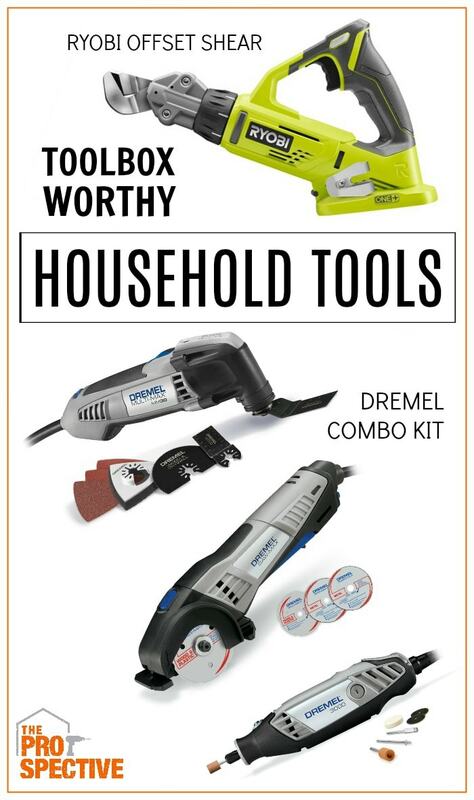 Arm your toolbox with these basic household tools and you’ll be ready to tackle anything. That chicken wire didn’t stand a chance against the shear. This shear has a​ ​variable​ ​speed​ ​trigger​ ​which gives you​ ​optimal​ ​control​ ​all​ ​the​ ​way​ ​through​ ​your​ ​cut. 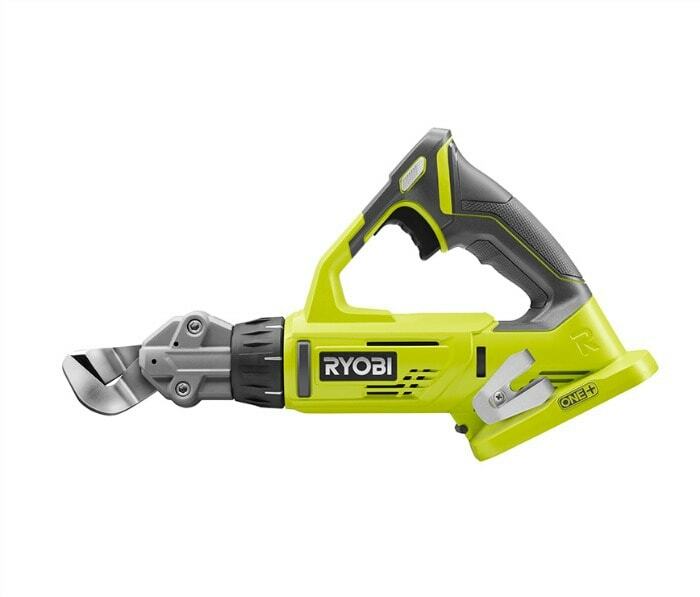 And bonus it’s cordless and runs off the same battery used to power almost all Ryobi tools. 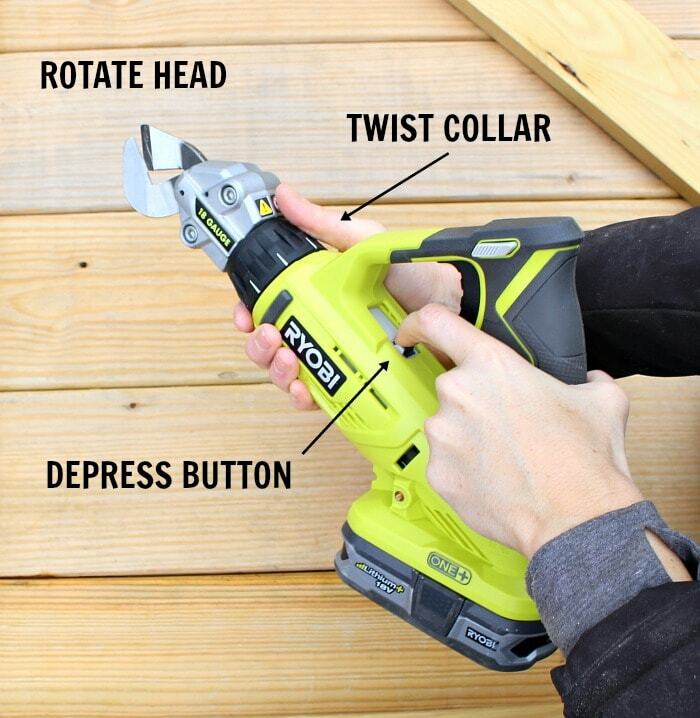 You can easily rotate the off-set head to adjust the angle of the shear to fit your job situation. Simply depress the button under the handle and twist the collar to get the head to rotate into the position you need. 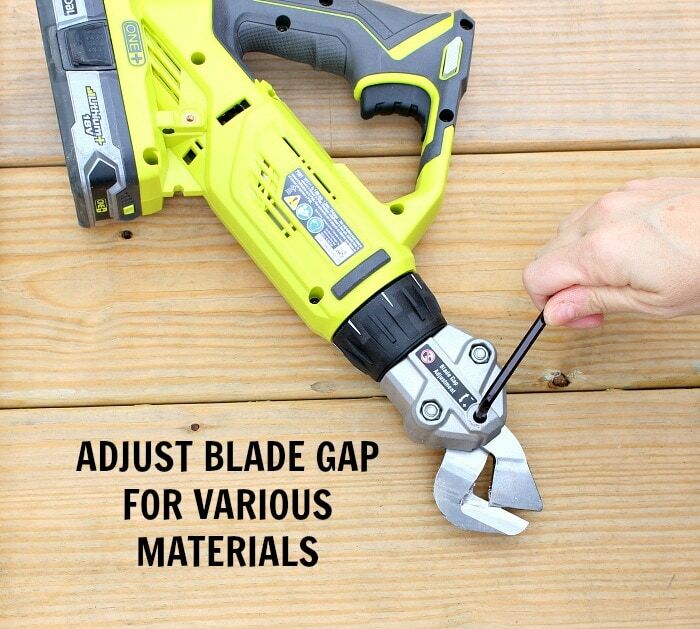 This​ ​tool’s​ ​blades​ ​are​ ​replaceable​ ​for​ ​continued​ ​performance and you can adjust the gap between the blades depending on the thickness of your material. 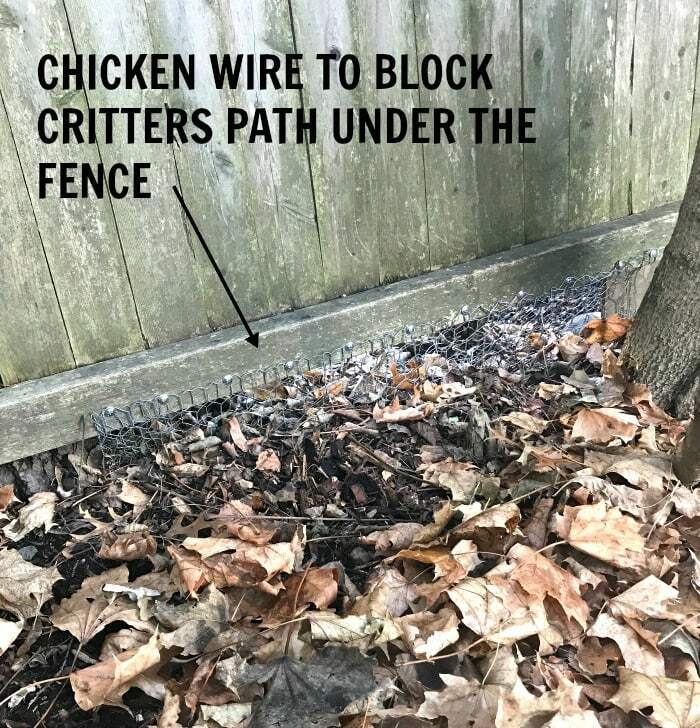 I easily cut chicken wire with the shears and attached it to the back fence to keep out the critters. That’s one household project off my list. 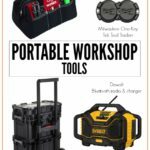 You​ ​will​ ​be​ ​able​ ​to​ ​multitask​ ​your​ ​way​ ​through​ ​a​ ​variety​ ​of​ ​projects​ ​at​ ​home​ ​or​ ​in​ ​the​ ​workshop. 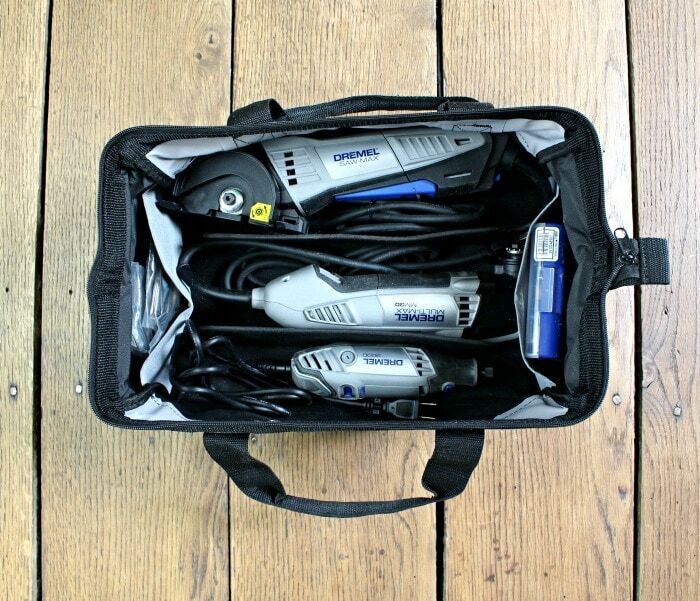 And the Dremel combo kit comes with a soft storage bag and 15 accessories so all your bits and pieces are in one safe space. 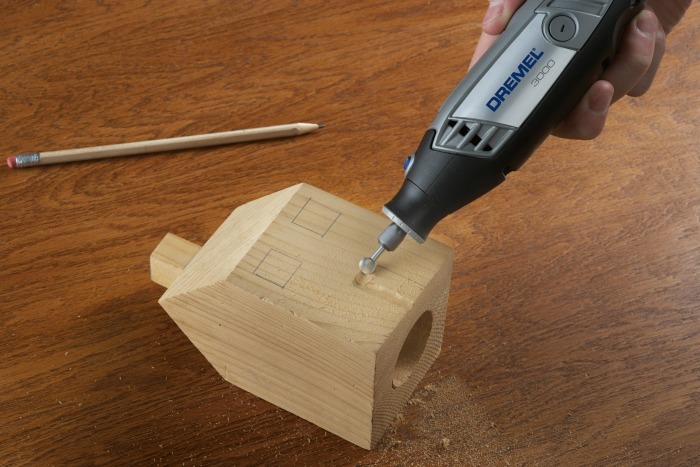 The Dremel multi-max can be used with a variety of blades. 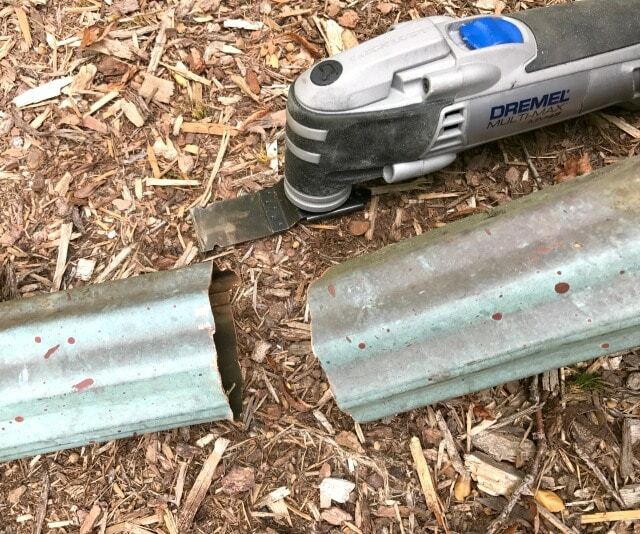 I did a little gutter maintenance and cut copper with the metal blade. 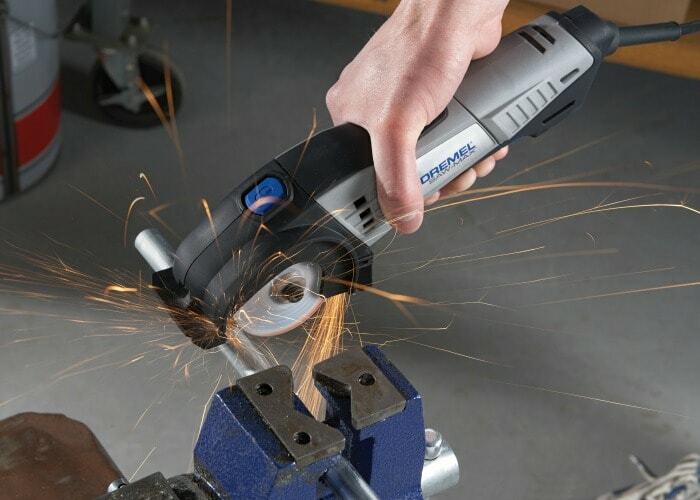 The saw-max is a small grinder that is capable of cutting metal, wood, plastic, tile, and more. Be sure to use the correct blade for your material. And the rotary tool is indispensable when it comes to crafts and small repairs. There are a bazillion different bits for almost any project. 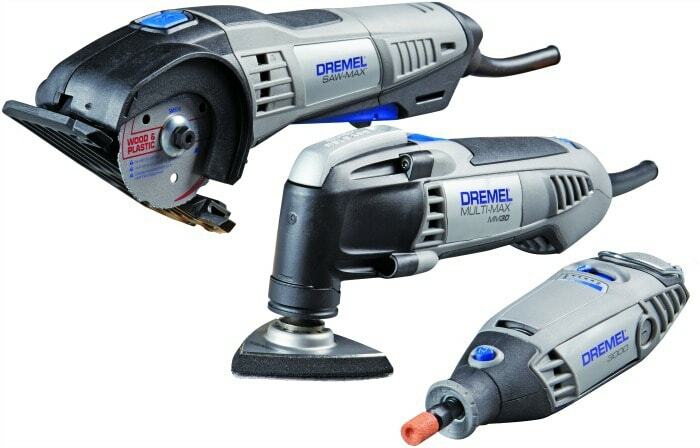 Well worth the investment to have the Dremel 3 tool combo kit in your toolbox. 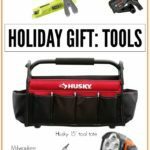 I hoped you enjoyed checking out these toolbox worthy household tools. They would make a great gift idea for new homeowners or an awesome wedding gift.